Parameter: Hot selling 9 in 1 combo heat press machine with CE certification Pack size (L W H): 45X42X39cm Net Weight: 40kg Gloss Weight: 42kg Voltage: 110V&220V Power: 1250W Temperature range: 0-380 Time range: 0-999 Sec. Printed size Mug(7.5~9cm/5-7.5cm), Plate(11cm/15cm) , Plate 30X38cm, hat:14*8.5cm. Subulate mug:(2OZ/17OZ), shoes/socks/glove heat panel30*38cm Description: 1. Use microprocessor programme to control, parameter recollection, touch control panel, particular in home market. 2. Get CE certificate, safe and reliable. 3. 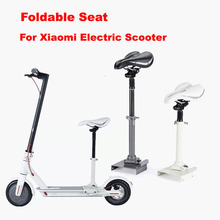 Advanced design, control cell structure, convenient for sale service. 4. 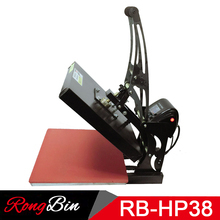 Can revolve 360 degree, convenient for fetching thick products. 5. Change the accessory quickly, no need tools. 6. Use imported materials for pivotal parts, stable and durable. 7.Machine design is beautiful, volume not reach 1 CBM, easy to operate in counter. 8.Because of superior device, finished products are excellent. 9. One machine has many functions, change the traditional machine problem, such as Not precision image,high repairing rate, big volume etc. At present, combo machine infinite updated base on market. 10. 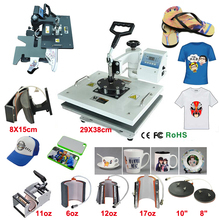 Can produce the goods of cloth art image, T-Shirt image, Porcelain image, metal image, fashion present image etc. 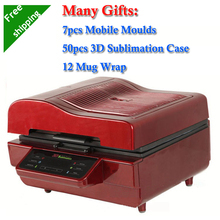 It can imprint shoes,socks,gloves,T-shirts, Ceramic Plates,Hats, Ceramic Tiles, Mugs, Mouse Pads, Jigsaw Puzzles, Fabrics & Materials,Other Misc. 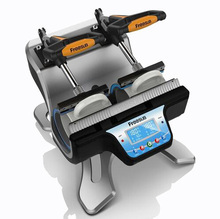 Features: The Digital Combo is a multipurpose swing-away heat press. This fully digital swing-away press boasts all of the digital features of the state-of-the-art control system. This includes Digital Temperature, Time, and a Digital Pressure/ Height gauge, as well as programmable presets, user definable alarms and a host of other digital features. The construction is a solid steel welded framework, However, the popular success of the Digital Combo lies in its instantly interchangeable system of heat platens and tables. The Digital Combo utilizes quick-change attachments for heat transferring images onto a surprisingly wide variety of materials. 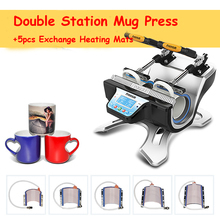 This one press has every attachment necessary to professionally imprint: Shoes,T-shirts, Ceramic Plates, Ceramic Tiles, Mugs, Mouse Pads, metal plates, Jigsaw Puzzles. Fabrics & Materials,etc. 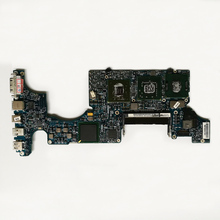 The interchangeability of the Digital Combo is performed quickly and safely. If your product offering is going to reach beyond just flat & fabric items, the Digital Combo is the superior heat press machinery solution. The mug attachment for the Digital Combo allows the imprinting of mugs 1 side at a time. 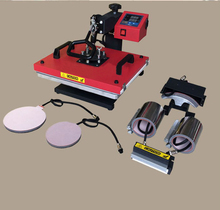 With dye sublimation transfers, full wrap images can be perfectly applied in multiple pressings. 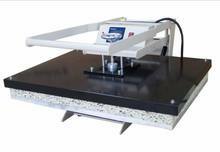 The plate die platens feature quickly inter-changeable components for allowing the circular heating element to press inside ceramic plates. Also included is a template tray and pad for centering the plate. 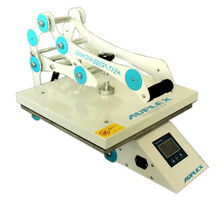 Due to its swing-away design and wide adjustment range, The Digital Combo excels at handling extremely thick items such as plaques, tile, woods, plastics, and other imprintable items that can not be pressed in conventional T-Shirt presses. 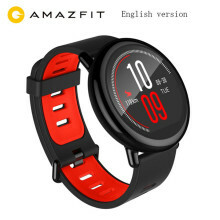 It is the hottest sales product, and we are the one you looking for! You deserve it! We deserve you!